Cast ceramic* urn with fired-in applique of butterflies as they gracefully fly over Irises make this urn a favorite. Bronzetone base. 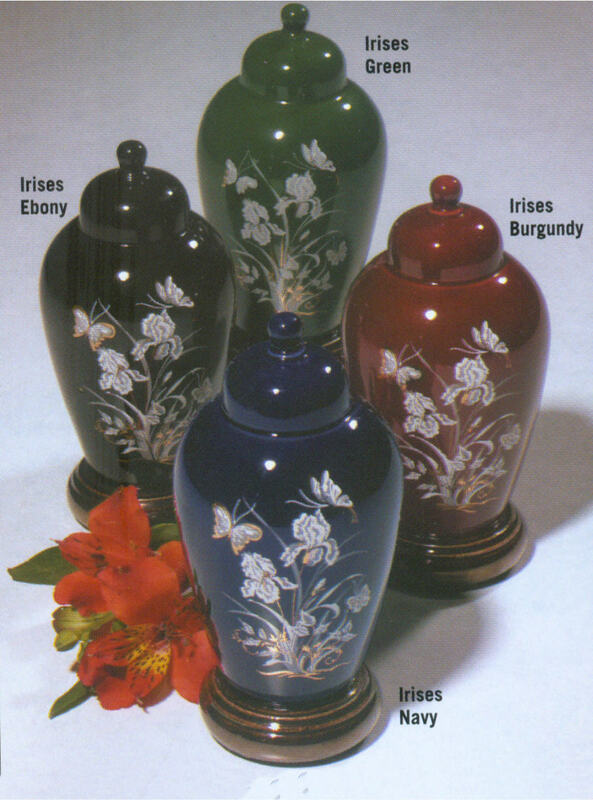 Urn is available in your choice of colors: Green, Navy, Ebony or Burgundy. *Due to the nature of ceramics, colors and patterns will vary. 3.125" Dia. x 6.75"H, 23 cu. in.